The Massachusetts law offices of Mitchell J. Wallman, have been providing comprehensive legal assistance in the areas of Criminal law, Personal Injury law, and Worker's Compensation since 1979. He is a skilled and talented litigator and has more than 25 years of legal experience in areas such as Massachusetts Criminal Defense including OUI/DWI, Personal Injury law including car accidents, motorcycle accidents and slip and fall cases. Mitchell J. Wallman is also a talented Massachusetts Worker's Compensation attorney. He has an excellent track record representing individuals and businesses at trial, in hearings, and in many types of legal proceedings. If you have a question, or want to know your rights email me now or call me at 978-531-8100. 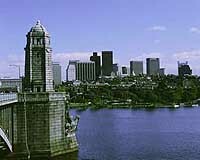 Massachusetts lawyer Mitchell J. Wallman offers residents of Essex County, Middlesex County, Suffolk County, the entire North Shore and all of Massachusetts competent and caring legal representation in Criminal law, OUI/DWI, Personal Injury, Motorcycle and Car accidents, Slip and Fall and Worker's Compensation. His offices in Peabody are convenient for clients from Boston, Revere, Marblehead, Swampscott, Gloucester, Newburyport, Lawrence, Danvers, Salem, Beverly, Lynn, Lynnfield and Middleton. As your attorney, he will help you understand all of your options.